Formal six week sessions for PTC Juniors and Le Petit Tennis will be announced for late August start dates in the coming weeks. Stay Tuned! Early August Mondays as listed below will be run as a casual match based workshop with coach Tom with a focus on getting players into match play for practice with their peers. The sessions will be run from 6:00pm – 7:30pm. 6:00pm – 6:30pm: Warm up and skill workshop focused on ball exchanging and cooperative rally. 6:30pm – 7:15pm: Organized cooperative match play 8-10 games with discussion and point play walkthrough. (Groups of 4 as doubles court). 7:15pm – 7:30pm: Group Game/Activity and Lesson Wrap up discussion and Q & A. 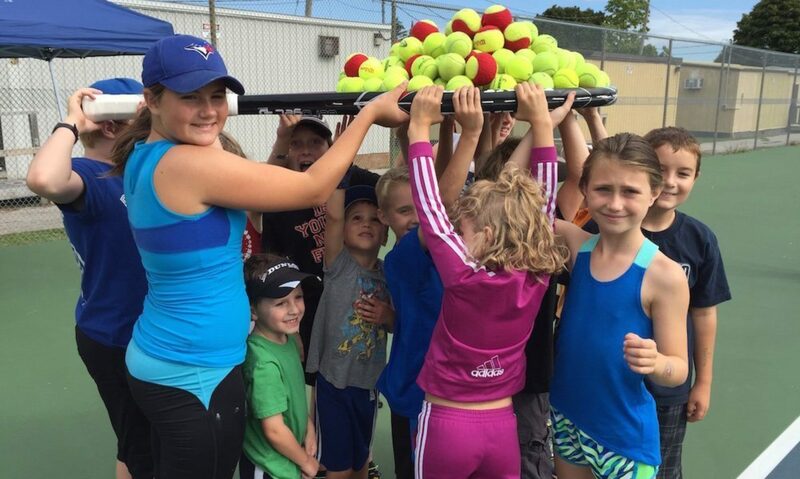 We will try to build on rally skills through the week sessions with a focus on groundstrokes, volleys and level-appropriate service strokes, so continuity is encouraged throughout the sessions. (As we understand summer schedules are busy,) we will continue to offer the early August Monday session as a drop in to all participants. Cost of each session is $5 per session, per student (PTC Membership Price), $10 for non members. Session fees can be paid at the courts on the drop-in day, or can be purchased in advance for any of the sessions online below. We will have an upper-limit on participants for each of the sessions at 16 to accommodate court capacity, so this will be handled in order of prior registrations, and then as first-come-first-served.